Pretoria, 6 September: MechCaL has invested in cutting edge technology to enhance the productivity, efficiency and production performance of their manufacturing facility. 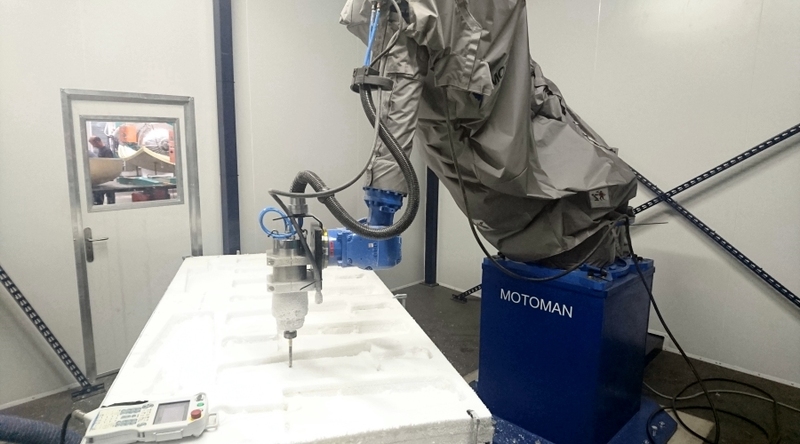 They have procured a Yaskawa Motoman Robot to carry out several vital tasks that will enhance the already cutting edge design of MechCaL’s advanced mining ventilation fans. MechCaL Pty Ltd was established in 2002 to design and manufacture industrial fans. The company has developed proprietary software that allows for high efficiency designs to address the much-needed green economy to reduce CO2 emissions to the atmosphere through using less energy while providing the same performance. At their manufacturing facilities in Pretoria, MechCaL focuses on developing specialised fans using advanced design tools and materials. Every fan is designed for a specific application tailored to suit the needs of each client by matching the required performance with optimised efficiency.